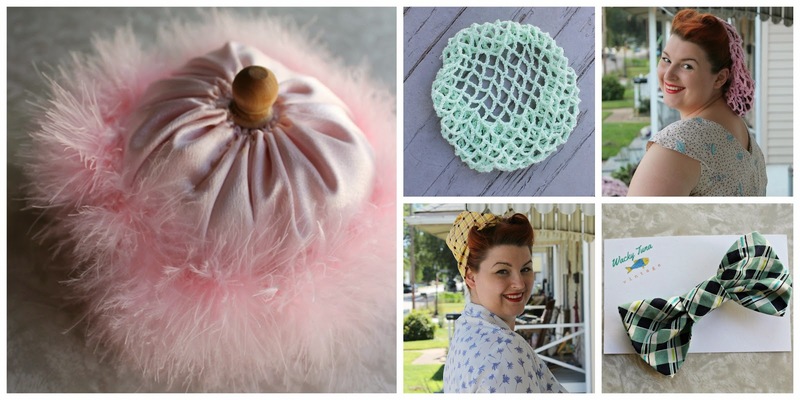 For the past few weeks, I've been bursting with new awesome ideas as I get my craft on. I've been feeling really creative lately and the kids and I have been spending many afternoons making wonderful things and lots of messes together. I get emails asking if I make such-n-such thing to sell and I never do. I finally listened to my friends and started crafting items for etsy. 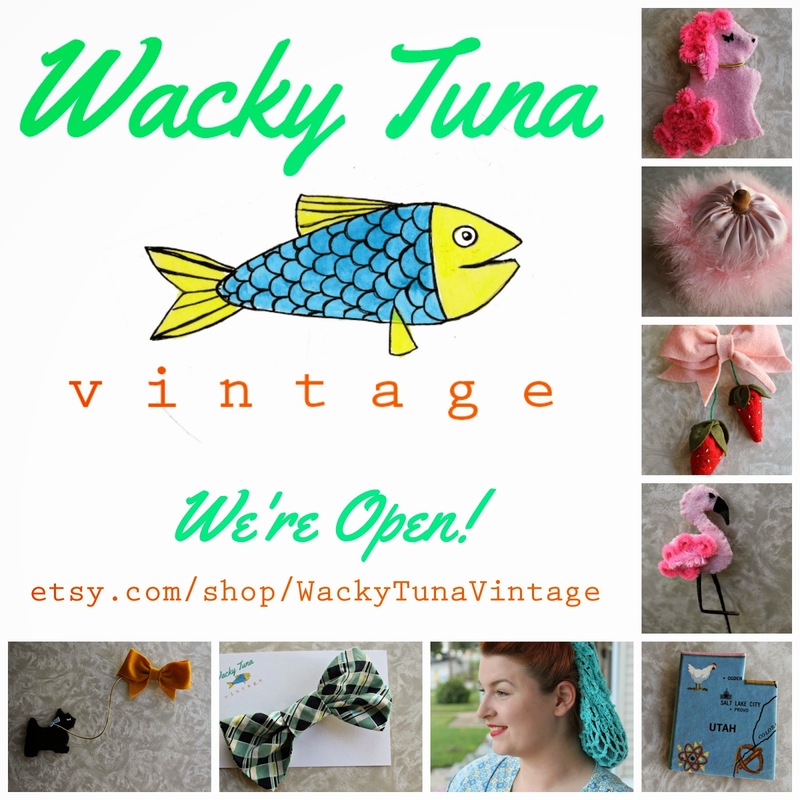 Since my attentions cannot be easily directed towards one type of item, I have opened Wacky Tuna Vintage on etsy, where you will find all of my short bursts of attention in the form of felt, Lucite, resin, sewing, crochet and whatever else I dream up that day. Since I bounce from one thing to the next and am very difficult to wrangle, most things will be very limited until I feel the urge to make another one. I truly don't enjoy selling vintage but I'm having a blast doing this! My sewing machine is never put away and my craft room is all organized with beads, vintage buttons, fake fruit and novelty print fabrics. 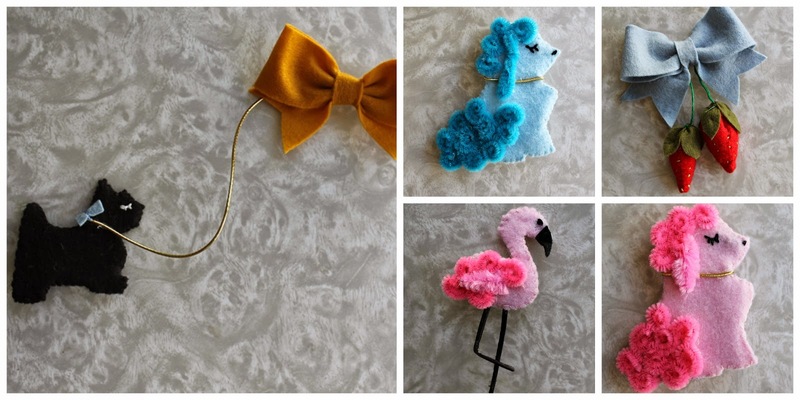 kitschy felt brooches, handmade by me! About 6 years ago, Pj and I were watching a show on Discovery Channel about tuna. It might have been Tuna Wranglers or something like that. Well, the fellas had a big catch of fish and they brought them to a station to weigh the catch. To do this, they weigh a portion of the catch and average it out to figure out how much to charge for the whole shebang. How does one weigh a tuna fish? They're big and slippery and typically don't enjoy sitting still while out of the water. To get the fish to relax, they cover their eyes with a cloth and give them a little pat on their sides and suddenly, the fish feel calm and relaxed and sit still long enough to be weighed. When I go into a craft store, I am very much like a slippery tuna. I get excited, run all over the place and forget why I came to the store, resulting in Pj having to wrangle me, calm me down and get me out of there. He started covering my eyes, patting my back and calling me a "wacky tuna". The name stuck and now he just calls me "Tuna"
Wacky Tuna will also include some of Pj's handmades. 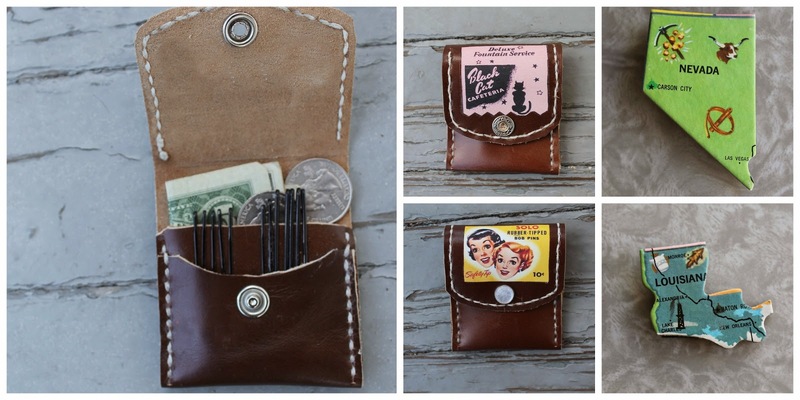 Pj leans more towards manly and rugged things (renaissance faire type of things) but he's making some beautiful vintagey things for Wacky Tuna too, including his much loved hair pin cases and new leather travel sewing kits that I've been begging him to design for me. Many of the things in the shop have his awesomeness applied to them as he tests things out to make them practical, durable and amazing. I make it pretty, Pj makes it function. We're a great team! Vintage Under Thirty will also be closing this month. I may list some remaining items in a sale section in my Wacky Tuna shop later but I'm really not sure! Wacky tunas are very unpredictable. Please check out Wacky Tuna Vintage and share! Follow @wackytunavintage on instagram for updates! All those pins are so cute! Just curious, but what is it about selling vintage that you don't like?